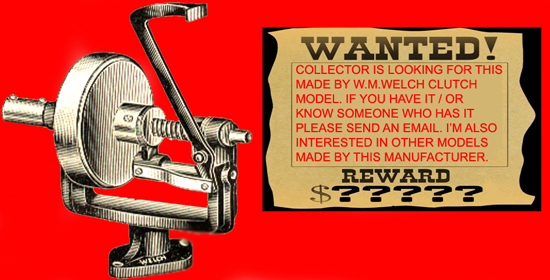 Collector is looking for this W.M. Welch clutch model. If you have one or know someone who does please send us an email. I’m also interested in other models made by this manufacturer..